Windows 7 – Alex loves it. Microsoft has listened. Windows 7 will be general available on the 22nd Oct 2009. However, you don’t have to wait till then, to see or hear it. Its all over the place. Its crazy. I’ve seen Windows Client Releases over the past decade. I’ve not seen one that has so much anticipation and excitement. There are tons of media coverage and enthusiasts who gave lots of positive feedbacks. Today i want to share with you another amazing IT Pro, Alex Crawford. Alex is a member of Singapore IT Pro User Group. He works for a large public sector organization as a Solutions Architect focusing on End User Computing. He has extensive experience working on multiple client operating system from DOS and Windows 3.1 days till now, Windows 7. “I feel like Microsoft listened”. Bad hardware support, slow menus, application incompatibilities and a resource hog, are his experience about Windows Vista, the soon to be replaced Windows Operating System. Yes, replaced by Windows 7. These issues has been address in Windows 7. The menu system is now far more sleek and intuitive. Great driver support out of the box and most importantly, runs faster on the same set of hardware compared to Vista. Its been a long time since Alex has been so excited about a new operating system released from Microsoft. Alex shares with me what he likes about Windows 7. This feature allows one to get a sneak peek behind open windows. It has become a way of working on the computer for him. He’s become more productive at the computer and find its quite frustrating not to have Aero Peek on current versions. To read more about Aero Peek, Paul Thurott’ wrote an article about Aero Peek. Read it here. As the name suggests, Application Locker. It can be used to control authorized and unauthorized applications. Say for example, you want a strict operating environment in your corporate desktops. You can use Applocker to prevent users from running unauthorized software. Before Applocker, we have to use Software Restrictions in Group Policies. Applocker is more powerful then Software Restrictions and reduces lots of overheads compared to previous capabilities. Edge @ TechNet recently has a video demo posted about Applocker. UAC prevents unauthorized execution of software process that requires administrative privilege. To read abo ut UAC, click here. While UAC was already introduced in Vista, Alex never thought it would find the balance between useful security mechanisms and being an annoying pop-ups. In Windows Vista, UAC was popping up all over the place and there wasn’t granular control on how UAC will raise an alarm. Now in Windows 7, one can bring a balance by reducing the number of prompts and giving you the ability to configure UAC experience in the control panel. Windows 7, allows someone to build a virtual hard drive, attach it to Windows 7, and literally boot into the virtual hard drive. For techies like Alex, he runs Windows 7 as the default installation. Net he builds a Windows 208 R2 on a virtual hard drive (.vhd) and boot into it. There is no worries about managing another operating system partition. You can dual boot into another operating system in Windows 7, and that other operating system exists as a VHD file. From an enterprise standpoint, this allows an organization wit mixed desktop environment and virtual images to move to a single format, thereby simplifying image management and deployment. App Compat seems to be on the minds of every IT Pro i talk to about Windows Vista and Windows 7. Alex was surprised that for most part of his applications, they worked flawlessly. However, there are some small exceptions. For example, Norton 360 would not install in Beta build, however, it works in RC. Through the various releases, application compatibility is also incrementally taken care of. “Microsoft has listened again.” Windows 7 introduced a feature called “XP Mode”. In essence, the feature is a Virtual PC version of Windows XP running on Windows 7, allowing you to continue your favourite XP applications that do not work in Windows 7. This provides the ability for anyone to easily move to Windows 7, but yet still retain the ability to run Windows XP. Windows 7 RC has been released to the public recently (in the past 1 or 2 months). Microsoft Springboard contains a huge amount of resources for IT Pros who wants to find out more about Windows 7. There has also been tremendous uptake in the testing of Windows 7. There are many outstanding and impressive press writings and blogs by enthusiasts. You can search around for those writing over common search engines and you’ll come up with tons of them. Tan Chee, is an old friend of mine. 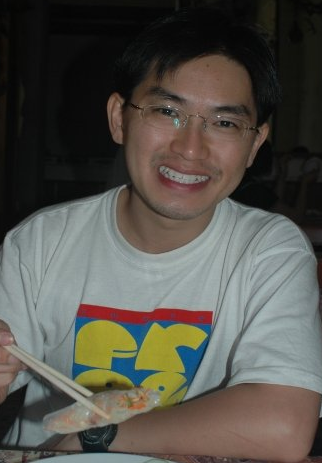 Coincidentally, he is also an active contributing leader of Singapore Windows IT Pro User Group. 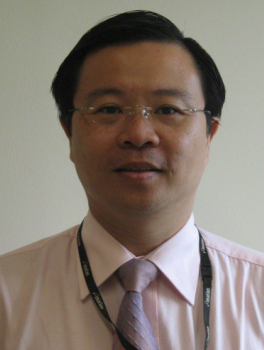 He works as an IT Consultant in one of the largest system integrator in Singapore. He manages the an education body’s systems infrastructure that comprises of servers and more than 10,000 clients. He has recently been assigned to look into the upgrading of Windows XP to the next version of the Operating System. The upgrade has to take into consideration both hardware and software compatibility. 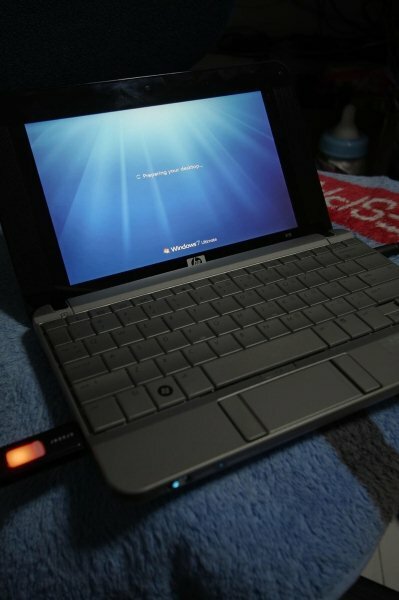 He is familiar with Windows Vista, while the software compatibility is acceptable, the hardware deals a big blow. Vista is hardware resource demanding. 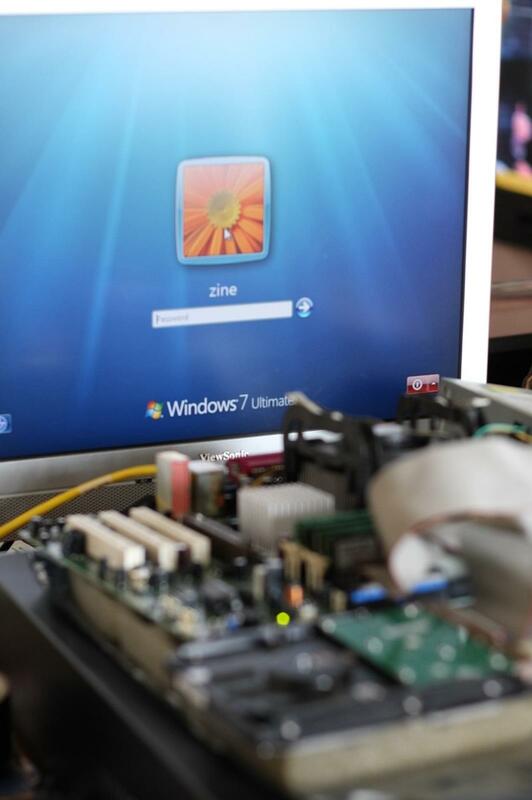 Knowing that Windows 7 is due to release soon, Tan Chee looks into testing Windows 7. Having ran Windows 7 Beta since Jan 2009, Tan is impressed with how polished the codes were in Beta stage. He loved the new OS and found that it resolved most of the software and hardware issues with all the new features. Through real-time testing and observations, Windows 7 performs better than Windows XP in all lab tests. In the current economic climate, Tan Chee highlighted the challenge he faces. He points out 2 main considerations; Software and Hardware issues. Software issues has always been a plaguing legacy in any organization. It is important that existing Line of Business applications will work and run on new platforms. Tan Chee also drives a constant message back into his organization that software must progress with the change of state in the business. Hardware costs is another huge issue. In such economic times, we’re constantly driving to keep costs down. As such, there is a constant pressure to extend the operating life of the client machines. Switching to Windows Vista proved to be a costly exercise should he go down this path. Tan Chee is amazed that Windows 7 breathed new life into the existing sets of hardware. In performance tests, using current hardware, Windows 7 runs faster than Windows XP. This allowed him to extend the life of serviceable machines and saved him money. Tan Chee set out on a mission. To discover what is the oldest supported set of hardware he could use with Windows 7. He scrambled around office and got 2 “minimalist” hardwares. A mini PC running on VIA CPU and on an Intel Pentium 4 1.6GHz CPU with 512MB of ram. In both installations, Windows 7 performed smoothly. As smooth as XP, if not better. That’s really giving an old machine a new soul. Given those lab tests, Tan Chee believes his organization is ready for Windows 7. To take it to the next level, he and several colleagues decided to use it as their production day to day work. Using RC bits, Windows 7 is READY for this environment. For his daily administration work, almost every tool and utility works well. He’s been more productive on the same set of hardware. Tan Chee, together with a few others, are sharing a list of applications that they come across with and works with Windows 7 in their day to day work. Check out the list here. You are welcomed to contribute to the list here. Given the high levels of software compatibilities, Tan Chee feels that there may still be situations that could hinder the move to Windows 7. He identified a new feature that will remove this blocker. Windows 7 RC, comes with a desktop virtualization capability – Windows XP Mode. To find out more about Windows XP Mode, click here. There are also many conversations about driving GreenIT. Tan Chee wants to do his bit too. He came across a blog post by the Windows 7 engineering team about Windows 7 Energy Efficiency. Always being curious about labs and testing, he mounted on a simple power consumption test. Using an old set of machine, Tan Chee runs Windows XP and have its power consumption measured over a 1 hour period, recording power consumption every 10 minutes. With the same set of hardware, he runs Windows 7. With no configuration change at all, power savings kicks in after 30 mins. The results, approx. 40% drop in power consumption after 30 mins. Calculating power savings is tough, but he concluded that based on that simple test, power consumption for his 10,000 clients could potentially have a drop of 20-40% in power bill each month. This can be quite significant savings for an organization with 10,000 machines. Windows 7’s energy consumption can be easily managed through group policies in Active Directory. 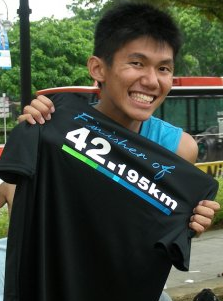 Tan Chee is another happy IT Pro who participate in IT Pro Momentum. If you want to have that cutting edge, IT Pro Momentum makes that difference. To find out how to participate, email i-dchung@microsoft.com, and include which country you are from. For Tan Chee, he can’t wait for Windows 7 to be released. Windows 7 Beta Build 7000 has been since Jan 09. The much anticipated next release of Windows Client is generating a lot of hype, excitement and positive experiences. In my past few months talking to IT Pros about Windows 7, Samuel Tan, from ANT, is very positive about the next release. This post should have been made about a month back. :-S The sheer amount of interest and enthusiasm simply took me off my feet that i now finally have time to write about the good work Samuel has been doing. Samuel is a Business Development Manager for Advanetwork Technology (aka ANT). ANT is a leader in providing IT Maintenance Service. ANT provides Corporate IT Maintenance Management and Consultations on Infrastructure for customers. One of the core services that ANT provides are planning, maintenance and providing advice to customers for their computing platforms. To enable themselves to provide professional, accurate and capable services, Samuel is trying out the capabilities of Windows 7 and learning about it. On first impression, Windows 7 is a much better product compared to Vista. Installation completed pretty well, except for a minor graphic drive issue. In general, most components are more responsive and faster then Samuel expected even when more devices and gadgets are introduced to the system. Windows 7 also seems to have minor changes in getting work done faster with less clicks. Performing tasks are simpler, easier and more intuitive than Windows Vista. Windows Explorer and Desktop Context Menu are simpler to manage. Essential applications support and compatibility are in place. Flash, Acrobat Reader, Zinio Online Reader and Sun Java are running smoothly on Windows 7 despite being written for Vista. Web browsing experience works fine, except for one or two sites, for example, igoogle for Developer does not render properly. Windows 7 looks promising. However, much has still to be done as Windows7 drivers for devices and equipments from HP, Dell, IBM, Canon and Epson don’t readily seem to have Windows 7 drivers available on their respective sites. Hardware partners of Microsoft will probably start releasing Windows 7 drivers nearer to launch date. For now, Vista drivers seems to work fine. Since Windows 7 is more efficient, organizations are able to take advantage of Windows 7 without having to do a hardware refresh. In fact, Windows 7 can run on machines that Vista didn’t manage to run on. This allows companies to reuse majority of existing hardware when Windows 7 is available. Samuel is looking forward to the release of Windows 7. He is keen to roll out for ANT and most of his customers. He is also looking into the wide hardware ecosystem of Windows 7, with peripheral products and applications ready for it. Windows 7 has further enhanced Bit Locker encryption. You can encrypt removable devices now. This allows an organization to encrypt contents and prevent unauthorized access. This feature, in the past, only protects hard disk. What even better is that the removable devices can be portable and used on other authorized machines. In addition, recovery information can be stored in Active Directory making it possible to recover information if user forgets the passphrase. DirectAccess allows a user to connect back to his corporate resources, for example, an internal-office only accessible resource, without having to be in office, and without having to create a VPN tunnel. This allows a user to transparently and securely access an internal only resource, from anywhere in the world, without construction of a VPN connection. 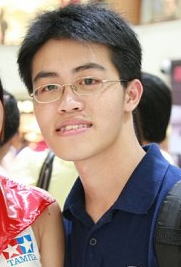 Today i would like to introduce Desmond Tan, an active member of the Windows IT Pro User Group in Singapore. Being new in the IT industry and having just graduated months ago, he is working very hard to hone his IT Pro skills. As with all IT Pros who are junior, they will start off supporting the clients. Desmond in his current workplace, supports about 100 client machines with another colleague in 2 geographically separated locations. He broke the misbelieves that Vista isn’t stable and is not compatible to their applications in office. When he first join his workplace, there were numerous different type of clients and operating systems. He finds managing that many different type of clients a very expensive process. Having to skill himself on the many clients takes time and efforts. Takes a long process to be competent with a specific type of client. Desmond discussed with several members of the user group and myself. I pointed Desmond to a Spring Board resource that Microsoft has released for client. Spring Board is a site the provides technical resources, guidance and training on how to manage and deploy a client. After several conversations, he decided to give Windows Vista a go. The route took quite a while in the past months. He tested Windows Vista RTM for several months. The outcome of that lab test isn’t very convincing. However, he did learn lots abouCt Vista Client. Along came Vista SP1. According to the Windows Experience Index, there is an improvement from 3.0 to 3.2. 🙂 No hardware chance, only applying Vista. With Service Pack 1 applied, he noticed performance increase and better application compatibility. Will Vista SP work with all his Business Applications? With Vista SP1, he tested all the applications, including Line of Business Applications, worked 100% with Vista SP1. A very quick way he found out through Spring Board, is to use the Application Compatibility Tool Kit. Through Application Compatibility and UAC site, he was able to find resource and guidance on how to test out compatibility issues in his environment. In most situations, you will be able to fix application compatibility issues with Vista SP1. In his situation, Desmond was happy to find out that all applications used by his office are 100% compatible with Vista SP1. How about Hardware Assessment Tool? He is also able to use Vista Hardware Assessment to find out if their current hardware are Vista capable or compliant. The tool was able to quickly identify the different sets of hardware specifications and whether they are compliant and capable to run Vista. The project has certainly boost his company’s confidence in deploying Vista SP1 in their environment. Investing in a standard client operating environment tremendously reduces the costs of operations and helps deliver better value. Support is readily available in the local technical communities, via Microsoft’s Online Technical Forums and also through TechNet. With the comprehensive support and resources available, he is convinced that the investments in Vista SP1 will be paid off really soon and deliver real business values. For him, the next step is to determine a full scale deployment for the company at the most cost effective manner. Desmond mounted on an IT Pro Momentum project which provides him with access to, and support resources to help him get familiarized and adopt the technology. He has discovered that Vista can be so easily managed via Group Policies. In his IT career, he is going to learn how to deploy a Microsoft infrastructure to fully realize the potential benefits that a managed infrastructure provides and allows his company to achieve more, with IT. Here’s another outstanding IT Pro. Samuel Chow. is the System Engineer at NYK Systems Research Institute (NSRI), the internal IT ARM of NYK Line, a global Fortune 500 shipping company. He manages the local office IT infrastructure, which consist groups of subsidiary companies. He manages the local office IT infrastructure, which consist of 70 clients and a few servers. For the past year, since Windows 2008 has been launched by Microsoft, he has been evaluating Windows 2008. Knowing that there are a lot of new features in Windows 2008. So much so that he doesn’t know what to start with. However, he looked back at the very fundamentals. Most networks cannot be successful without a good, robust and solid network infrastructure. He looks back at the core workloads a typical office network. Yes, the Network Infrastructure piece of things. Network infrastructure that people take for granted. Migrating from Windows 2000 Active Directory to Windows 2008 Active Directory Domain Services (AD DS), provides a much more granular and fine tuned approach to identity management. He can now build Fine-Grained Password Policies, which isn’t possible with Windows 2000 Active Directory. He can now define multiple password policies within a domain, instead of 1 policy per domain. Prior to this, if there are multiple password policy required, he’ll have to create 2 domains. He can now do so with 1 domain. An example may be, a receptionist may not require the strict password policy that may be needed of a research scientist who generate intellectual property for a company. With Windows 2008, he also has the ability to deploy Read-Only Domain controller, which improves security at a branch office. He now can deploy a Domain Controller to a branch and not worry about someone stealing it and compromising the entire domain. He can identify the potential accounts that could be compromised by a stolen domain controller from a branch and force a reset on those accounts and revoke that stolen domain controller. This provides a much more secure infrastructure for identify management. He can also now recover a Domain Controller without the tedious hassles of rebooting into a Directory Services Restore Mode. You can now simply make use of a Restartable Active Directory Domain Services. Enter “restore mode” by stopping the AD DS service. This saves a huge a mount of time making it more robust for a system admin to recover a domain controller which may be faced with a NTDS.DIT problem. He can also use the Database Mounting Tool to examine a Domain Controller’s Database to inspect it, perhaps to look for changes, example, accidentally deleted objects. Samuel has also upgraded his File Server functions to Windows 2008. Using the Microsoft File Server Migration Toolkit, Samuel was able to step through the wizard which helped him effortlessly migrate older file servers onto Windows 2008. While doing the migration, he also deployed Distributed File System. It offers a simplified and highly-available file access solution. There can be load sharing implemented and provides for WAN-friendly replication. It also takes advantage of the new networking features. For a full list of new networking features, check out this page. Specifically SMB2.0, it provides for a much faster and more efficient transfers for file services. Samuel has also implement a single Hyper-V VM for Network Policy Server functions. While it may just be a simple Virtual Machine now, he will discover the many benefits of Virtualization. Since he has just begun virtualization, i will talk about his adventure in the upcoming months. He has 2 projects on mind, possible full blown virtualization and Network Access Protection for this office. Kudos to Samuel for taking the lead in implementing Windows 2008 in his environment and sharing his adventures with me. We decided to share this with everyone in the community. In this festive months, everyone has gone for holidays. But IT Pro Manager, Desmond Kung, of Pluto Technology isn’t going for holidays. It seems like this is the best time to get this IT infrastructure sorted out right without causing too much operational impact to this company staff. Desmond and his team leads all technology engagements in Pluto. Desmond believes in IT as a business multiplier. In his previous project (link above), he implemented a hybrid of Network Access Protection into his current Windows environment. He has been driving his business with Small Business Server 2003. Seeing that his business has grown, he needs an infrastructure that is more robust, and more space for growth. He is looking into replacing SBS 2003 with Full Enterprise versions. Upgrading Active Directory from SBS2003 to Windows 2008 and Exchange 2003 in SBS to Exchange 2007. In case you need the steps, there is a discussion at the link below. Migrating from Windows SBS 2003 to Windows 2008 Active Directory Domain Services (AD DS), provides a much more granular and fine tuned approach to identity management. He can now build Fine-Grained Password Policies, which isn’t possible with Windows 2003 AD. He can now define multiple password policies within a domain, instead of 1 policy per domain. Prior to this, if there are multiple password policy requires, he’ll have to create 2 domains. He can now do so with 1 domain. An example may be, a receptionist may not require the strict password policy that may be needed of a research scientist who generate intellectual property for a company. With built in Power-Shell, Pluto is able to automate and accelerate their administrations. Using scripts found at the TechNet Script Center, they could easily put together codes making automation a breeze. Since Windows 2008 and Exchange 2007 has good support for PowerShell, Pluto could automate most tasks which was previously tough or not possible. For a start, he is using the Power Shell scripts to automate configuration of systems and managing his new Exchange 2007. If you are serious about automating your Windows Servers, try out PowerShell. You will be able to save that huge amount of time and do more productive work. By being able to manage and have better control, Desmond is setting the ground for doing more. We’ll hear from Desmond more. He has just started his adventure. He will be looking at deploying Web Applications on IIS7 and of course, Virtualization.